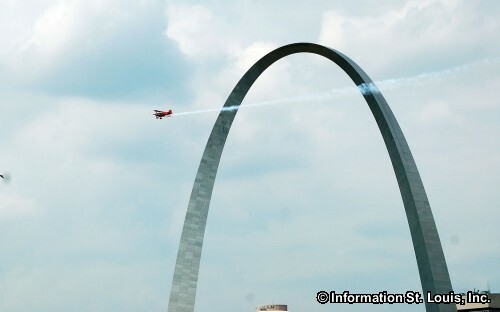 The Fair Saint Louis Air Show is one of the many events held during Fair Saint Louis that occurs during the Fourth of July holiday. 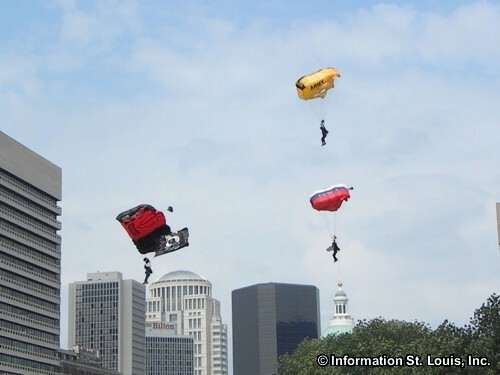 Each year, St Louis puts on a fantastic party celebrating our nation's independence with live music, fireworks, the VP Parade and the Air Show. 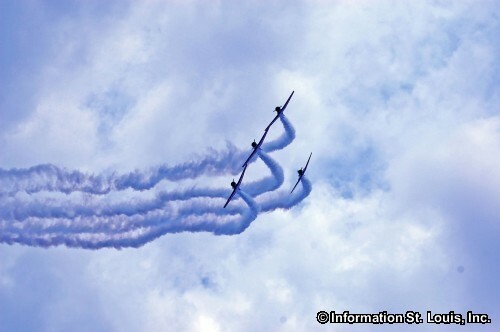 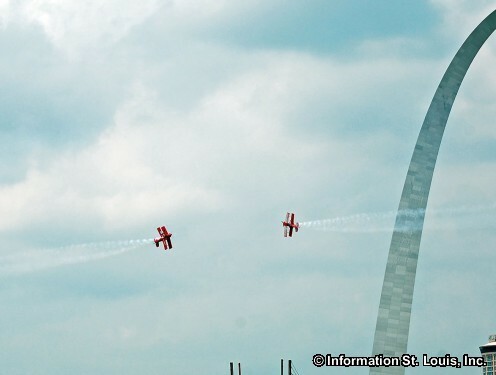 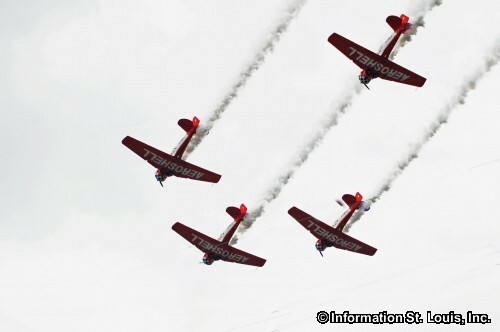 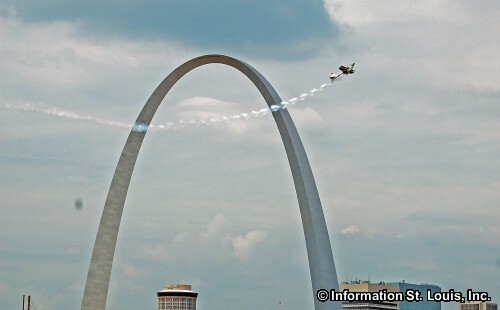 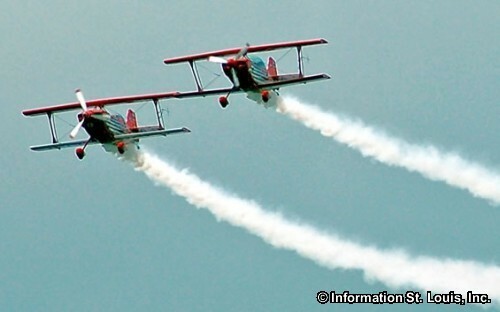 Included in the Air Show line up are performances by military aircraft, past and present, private aircraft, parachutist and other amazing aerobatic feats performed in the skies over the Arch grounds and the Mississippi River. 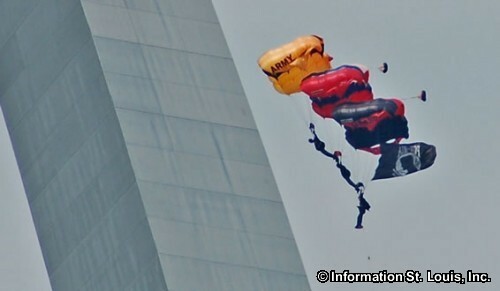 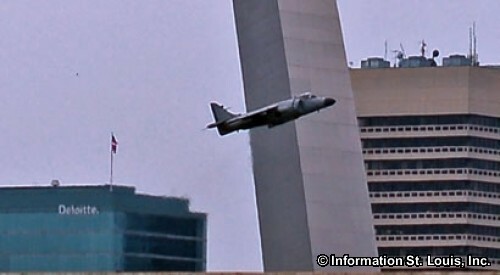 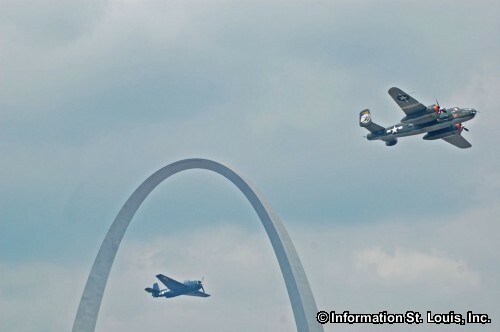 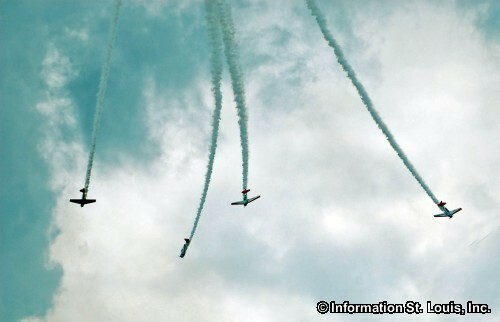 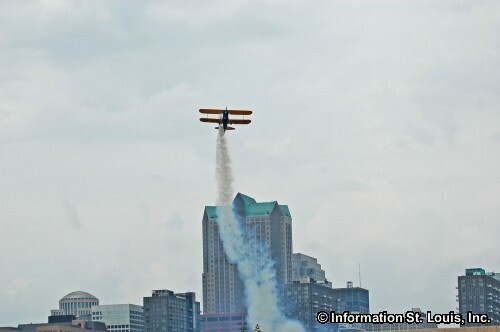 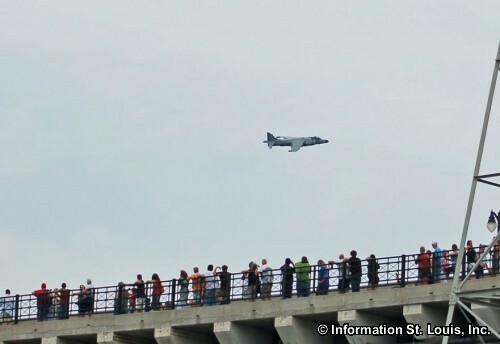 All Air Shows are free, as is all entertainment during Fair Saint Louis.